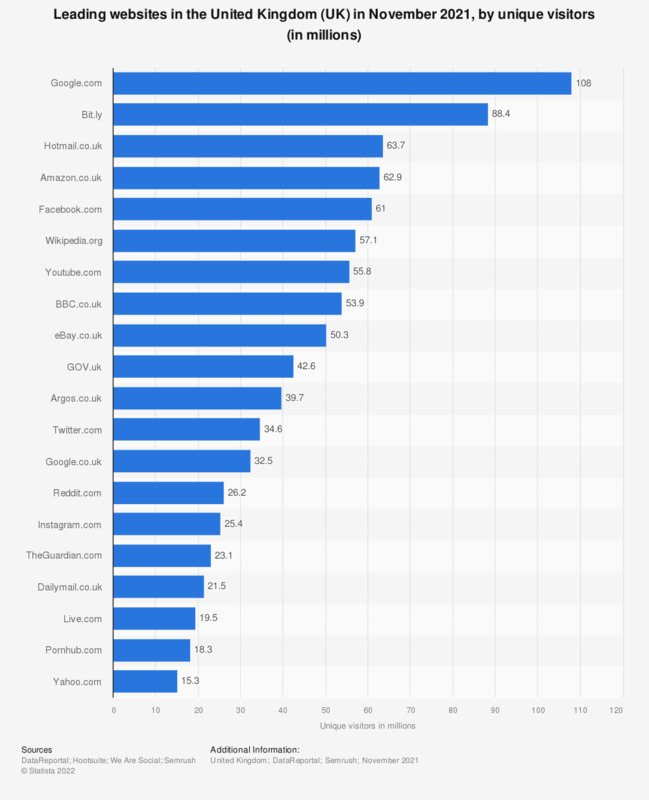 This statistic displays the most popular web properties in the United Kingdom ranked by unique visitors in June 2015. Google sites had approximately 46.4 million unique UK visitors in June, making it the most popular web property in the United Kingdom. * Includes PC browsing, PC video streams, mobile browsing and apps (non-network only for untagged apps), tablet browsing and apps for tagged sites and apps.